Are you looking for an online dating site that caters to women who are also into women? Is this the reason why you are at this Pink Cupid review? Then you have definitely come to the right place because I am going to give you the review that will tell you if you should hit that sign up button! The world is becoming more open about the different kinds of relationships nowadays. The world has become more accepting, which is definitely a good thing. Because dating knows no boundaries and so as for love. Lesbian dating has been here for too long, but it is only now that the majority is accepting them. This includes the world of online dating, which is why more and more lesbian dating sites are popping out. 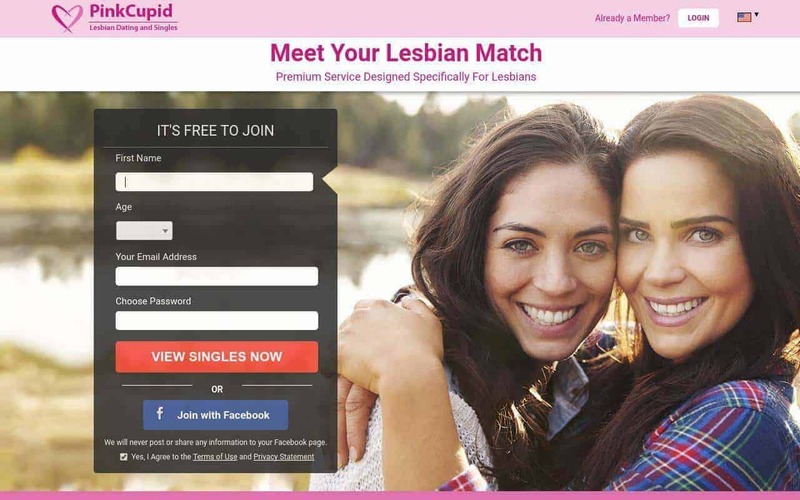 One of the best lesbian dating sites today is Pink Cupid. But, before you hit that sign up button to look for a date, it would be best to read this review below. Pink Cupid is one of the leading lesbian dating sites today which helps thousands of lesbians find their perfect match. They are the largest online community for lesbians, which is why they are also the most trusted site for women to connect with each other. Their primary goal is to help women get to know each other and eventually fall in love and be together in the long run. Whether you are someone who is looking for a companion or a love life, Pink Cupid is here to provide you with a secure yet fun environment. Pink Cupid was established in the year 2006 by Cupid Media, which is one of the well-established networks today. Their goal is to connect as many single women as possible today. Pink Cupid’s membership base is women from Canada, Australia, United Kingdom, USA, and as well as other countries. With the many lesbian dating sites today, you may be wondering as to why choose Pink Cupid. Well, I have reasons as to why you should select pink cupid, and one would be the 24/7 connectivity with the chat rooms. This means that you can chat with anyone no matter what time of the day it is. You can even check who’s online, so you’d be sure that the person will respond. Also, Pink Cupid offers video profiles, which can be accessed by members under the platinum membership. Registering on Pink Cupid is free, and your options may only be limited, most especially when it comes to using the messaging feature. You will just be able to send a generic message, while you will just be able to send one per member. So when registering, you will need to give your first name, email address, age, and password to protect your account. You may also use your Facebook account, so you no longer have to worry about filling up all the needed details. Once you are done registering, you can now start creating your profile. You need to include some of the necessary details about yourself, and as well as your interested and attributes. Of course, you will also be asked to upload a photo of yourself. It would be best to upload a recent and decent photo of yourself. This will help other members to know how you look like. After creating your profile, the site will screen everything first before your profile starts appearing on other members’ match lists. One of the unique features on Pink Cupid is the Cupid Tags, which are hashtags that you can add on your profile. The page can be about your hobby, characteristics, or your personal trait. This will help other members who are using Cupid Tags to find other members. These tags are used when searching for people because it will be easier to find someone who has the same interest as you. Of course, you can also use tags when searching for members. Every month, a member can upload one of the most glamorous, and the winner will be chosen once every month. The runners-up, on the other hand, will win a month of platinum membership, while the grand winner will get a three-month platinum membership. You can upload a photo anytime you please, and the winners will be announced every 8th of the month. Cupid Media will be the one to select the panel of judges, who will all vote for the most glamorous photo of the month. Typically, they will judge the picture based on the personality and of course the quality of the picture. There are three memberships on Pink Cupid that members can choose from. The first one would be the free membership, where they can create a profile and upload photos. Of course, they can also do necessary matching, send interest, and communicate with members under a premium membership. The second and third one would be the gold and platinum membership. In these two memberships, they can build community with everyone. They can also hide their browsing activities and profiles, and as well as enjoy browsing without any ads. There are also exclusive features, which is only available for Platinum membership. Pink Cupid accepts different payment methods, including vouchers, bank transfers, checks, PayPal, debit cards, and any other major credit cards. These are all of the information that you need to know about Pink Cupid. In the above Pink Cupid review, you surely know now what to expect once you hit that sign up button. If you are looking for your soulmate, then Pink Cupid is the place to be!